Well what can I say…where has October gone? Every year October is one of my worst (in the nicest way) and not forgetting expensive months of all. It starts off with all the Best people’s birthday’s, Mine, my fiance, my sister in Law, My sister in-laws partners, and their son’s birthday. We also have lots of other friends aswell who celebrate their birthday’s in October. Then we had the build up to Halloween and as an Auntie to 4 nephews, I know the eldest ones gets very excited about it so this year I invited my nephews over to do a weekend of Halloween crafts, we did pumpkin carving and made lots of different Halloween crafts that we found on Pinterest. You can find almost anything on Pinterest by just searching in the box at the top. 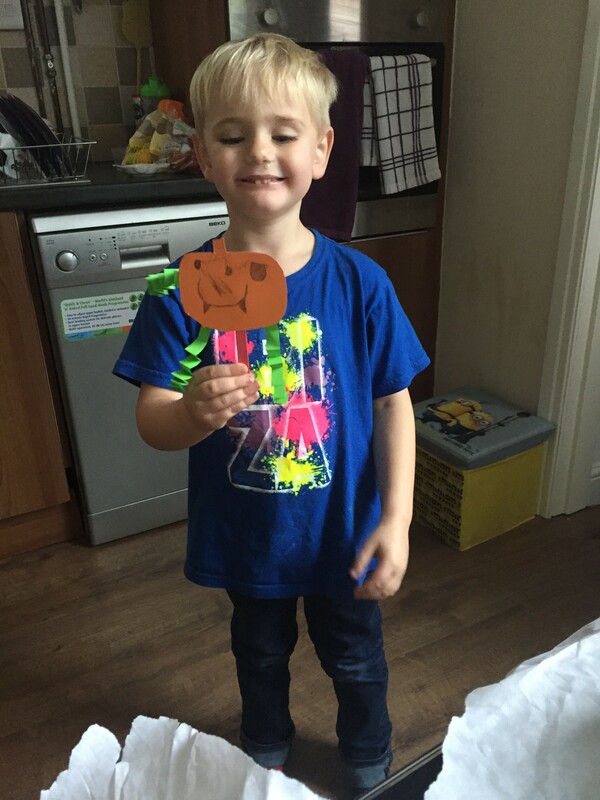 We also made some jumping jack Pumpkins with springy legs. 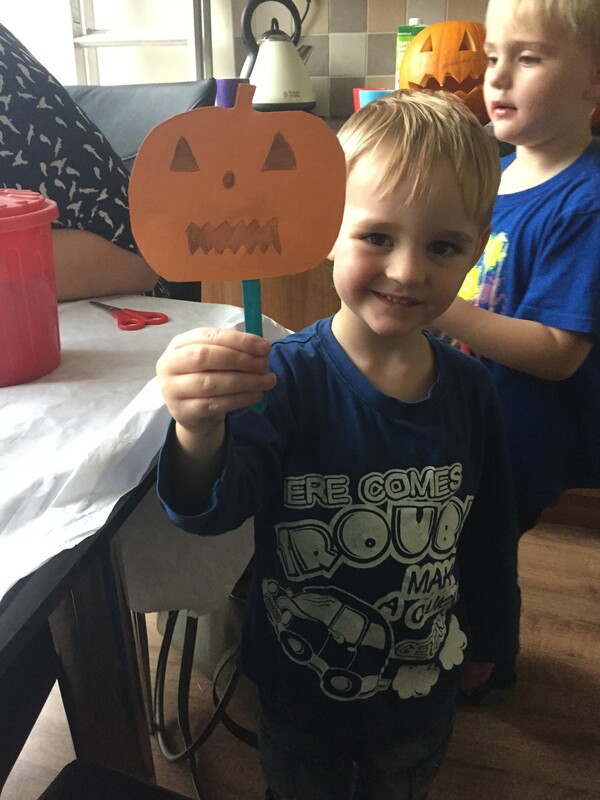 The boys had great fun cutting the pumpkin shapes out of orange card (with supervision from the adults because scissors are sharp) and then colouring them in and drawing different funny/scary faces on them. We stuck a lollipop stick on the back and then created some springy legs and arms out of paper by folding it and stuck them on using prit stick. 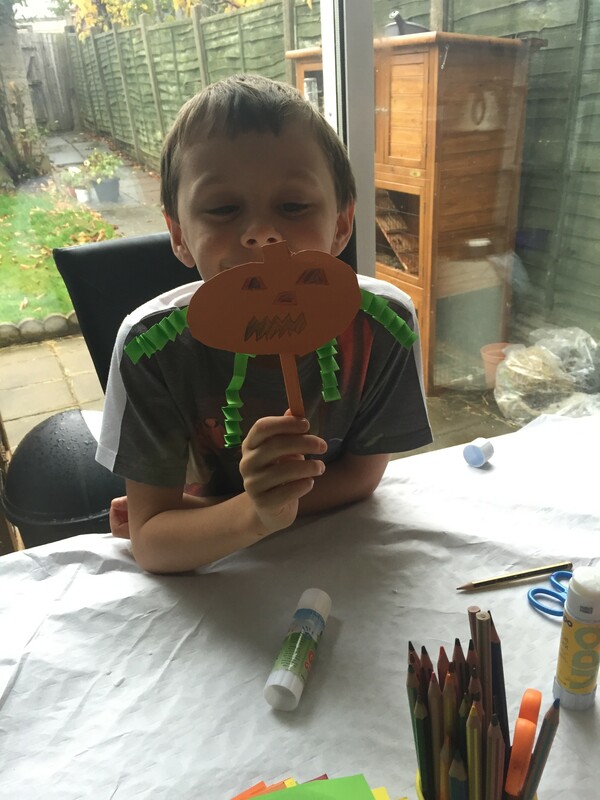 We all had great fun making crafts and the boys were shattered at the end of the day. 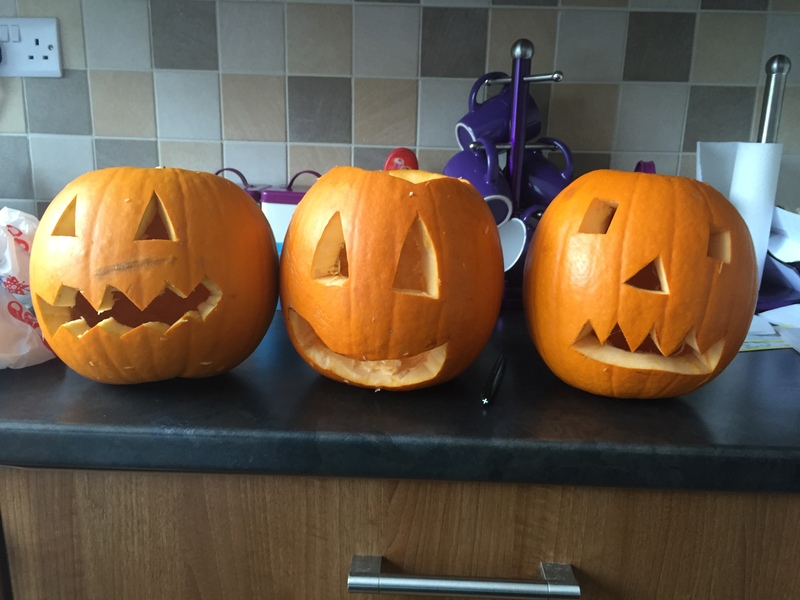 What did you do in October and get up to for Halloween?